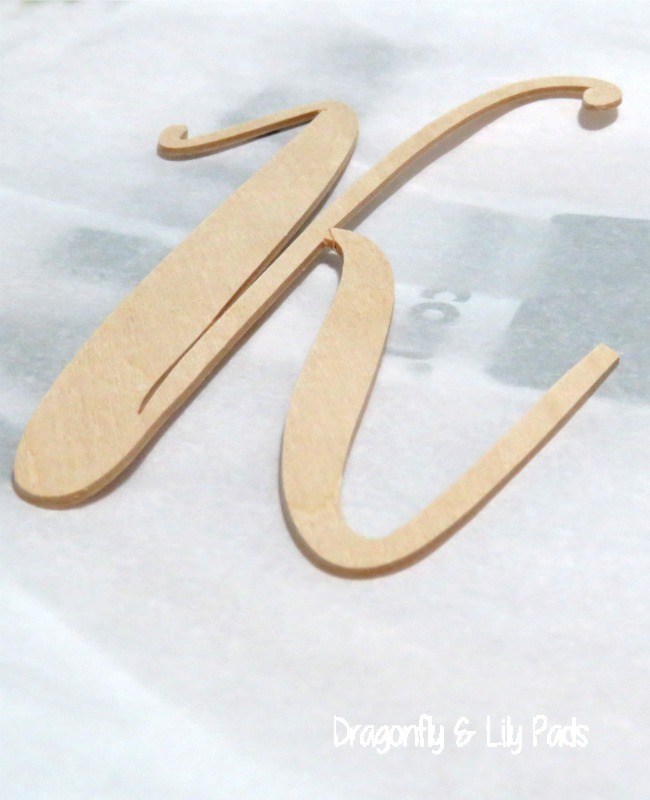 This Initial K design is made to match an upcoming wedding. The font matches the couples invitation. Did I mention the couple is my son and soon to be daughter in law? I am so excited for this new beginning for both of them. Gaining another daughter in less than a year is a dream for this momma of boys. Opps! Back on track now. As you can see here there are a few extra steps to ensure your project comes out perfect when using wood. 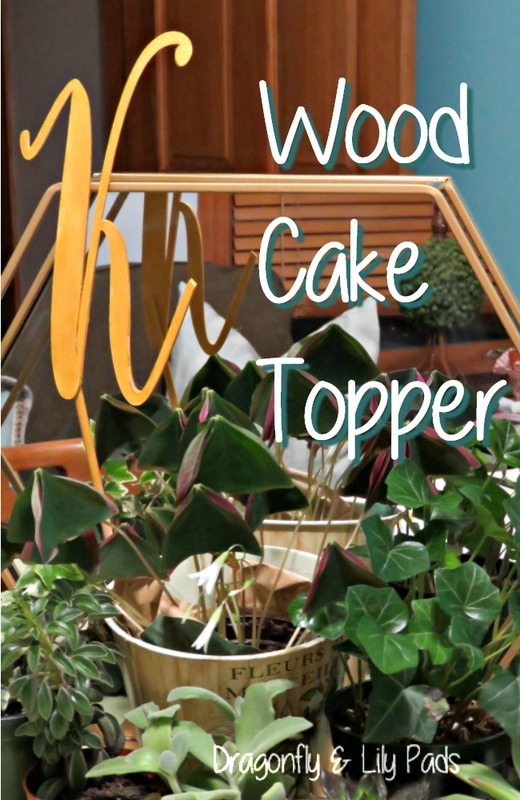 A great reference for starting on your own wood creation is to go to Cricut Help Knife blade -Basswood. 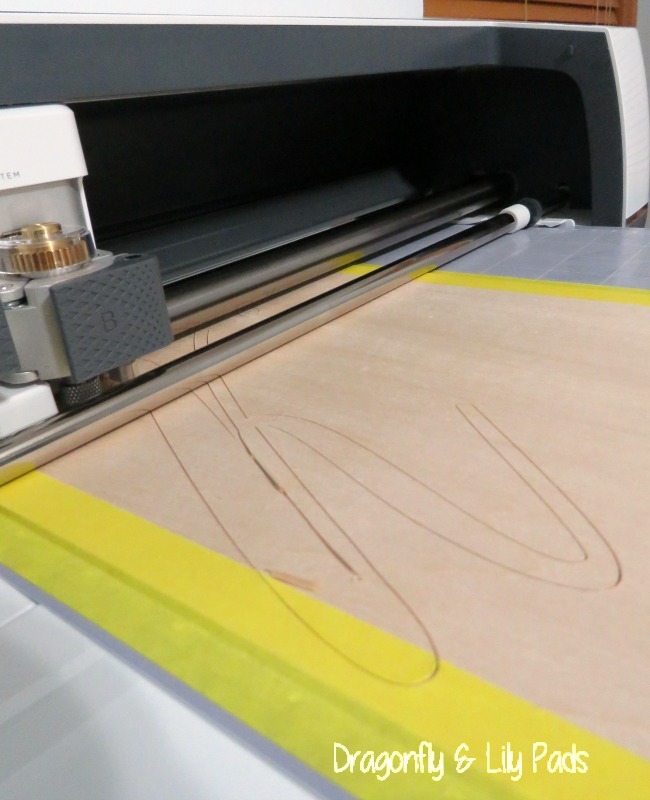 You must use a Strong Bond Cricut Mat with your wood cuts. Taping around the edges provides more stability on the edges while supporting the adhesion to the mat. 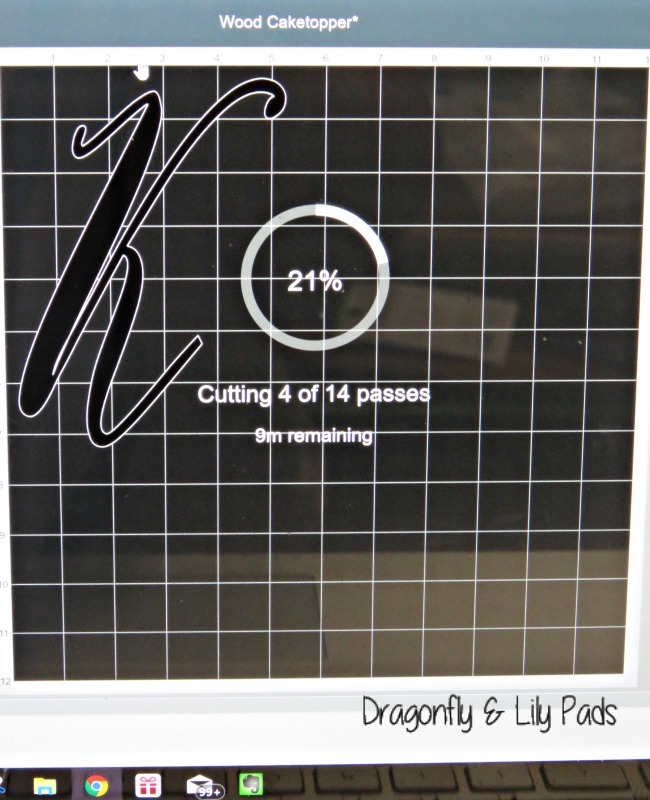 The cut will take several passes with pauses during the process. Since I could only find 1/16th Basswood at Michaels I decided to cut two of the exact same letter. Then used Elmer's Adhesive spray to strengthen the two while bonding them together. 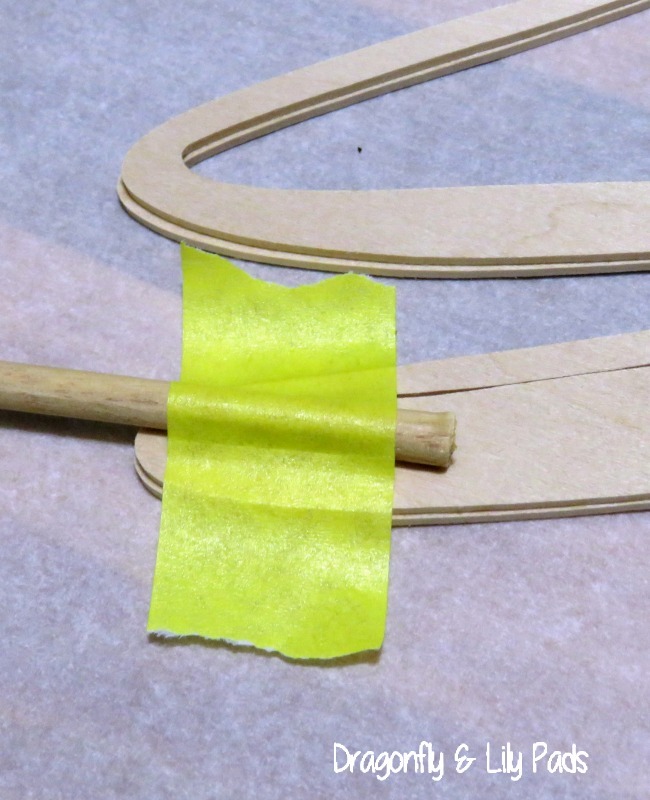 Taking a small dowel I applied glue to the K and the dowel then held it in place with masking tape while it attached. Gently I started my simple painting process on the front of the K.
You may think I am rinsing my brush here but I am actually using one of my secrets to getting an even coat of paint or stain on wood. By brushing the wood with water you open the pores. 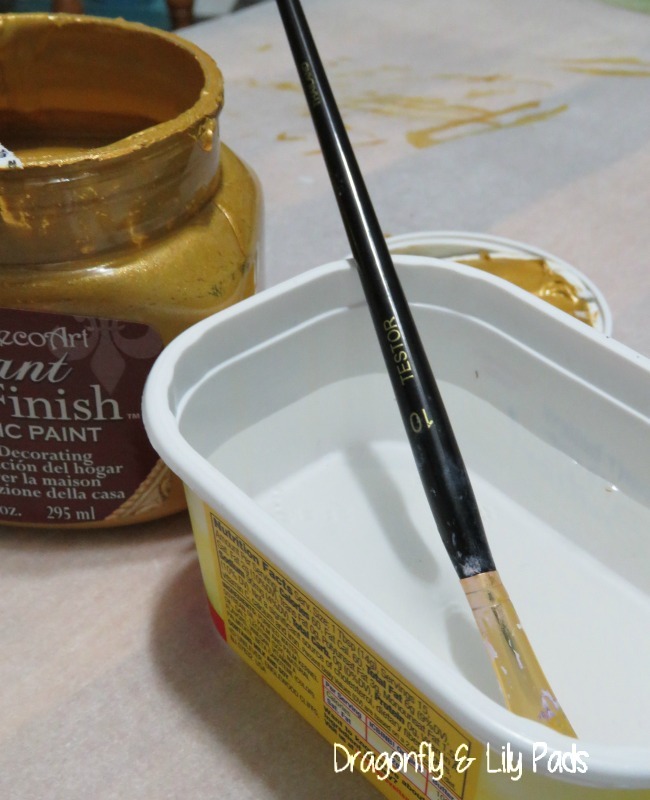 This causes the wood to grab the paint or stain in an even coat rather than splotchy. Now you know what of my coveted secrets. Shhh. Prince Charming and I made a Target run one night for ordinary stuff. This mirrored shelf was on clearance at the end of an isle. 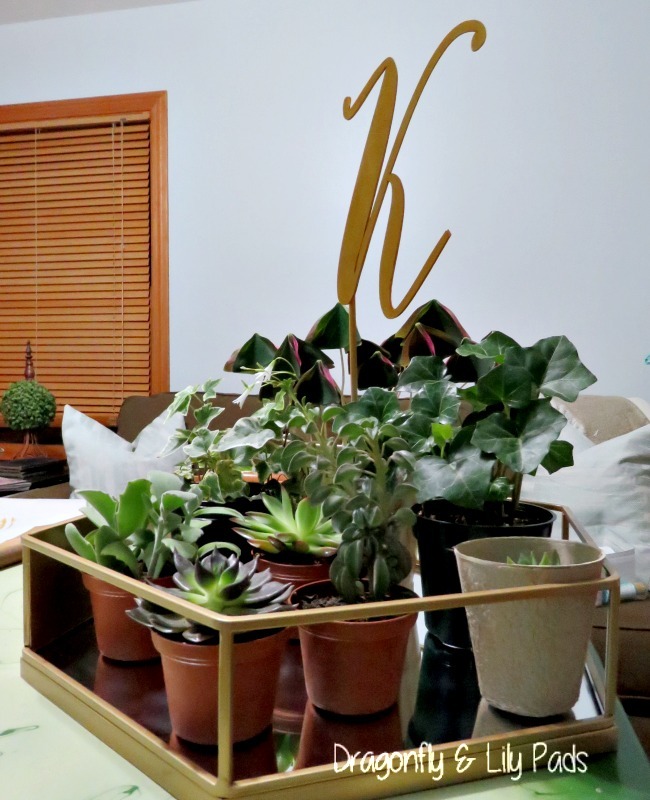 We bought them all to hold the flowers for the wedding shower. They were a huge hit! 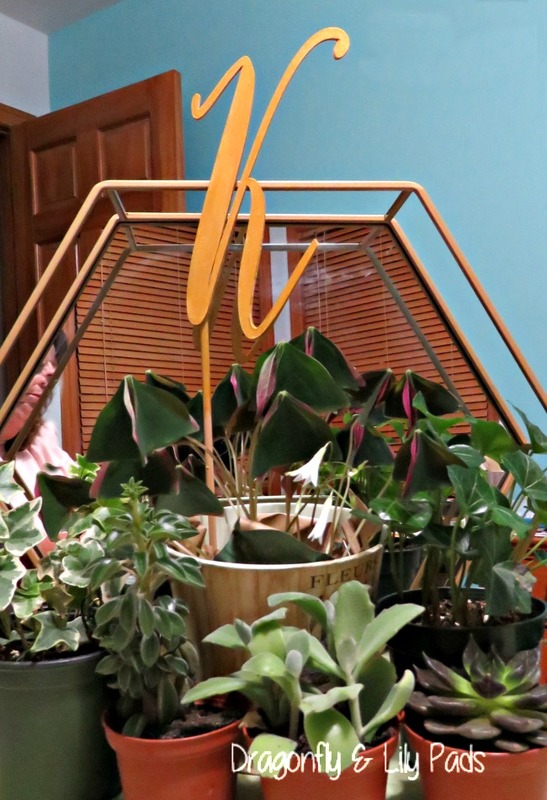 In fact the florist had to take them out of her display case while we were coming to pick them up because so many people wanted to buy them, I will be sharing all the DIY wedding decor and more after we get our two love birds hitched. 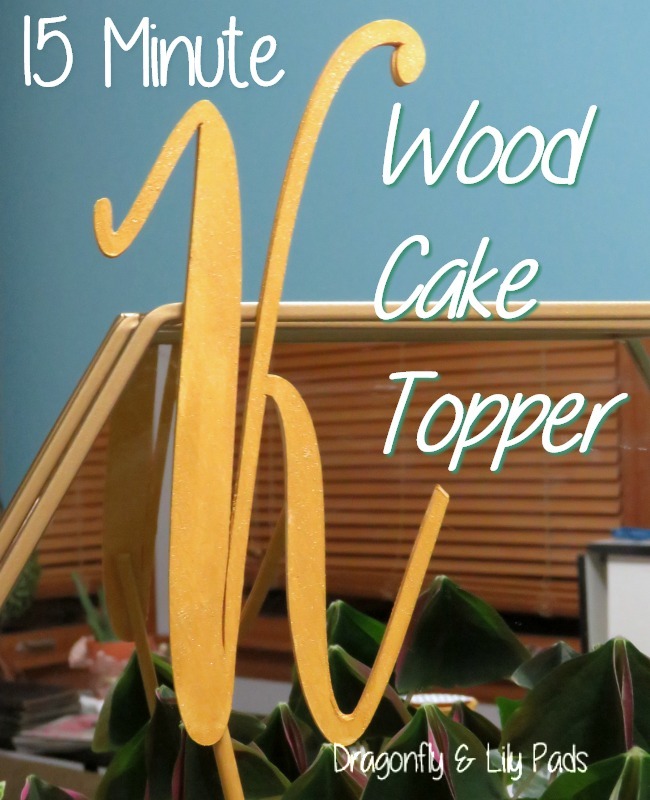 I hope you loved the wood cake topper today. I can't wait to see it on a very special day in our family. Feel free Pin to Pinterest. 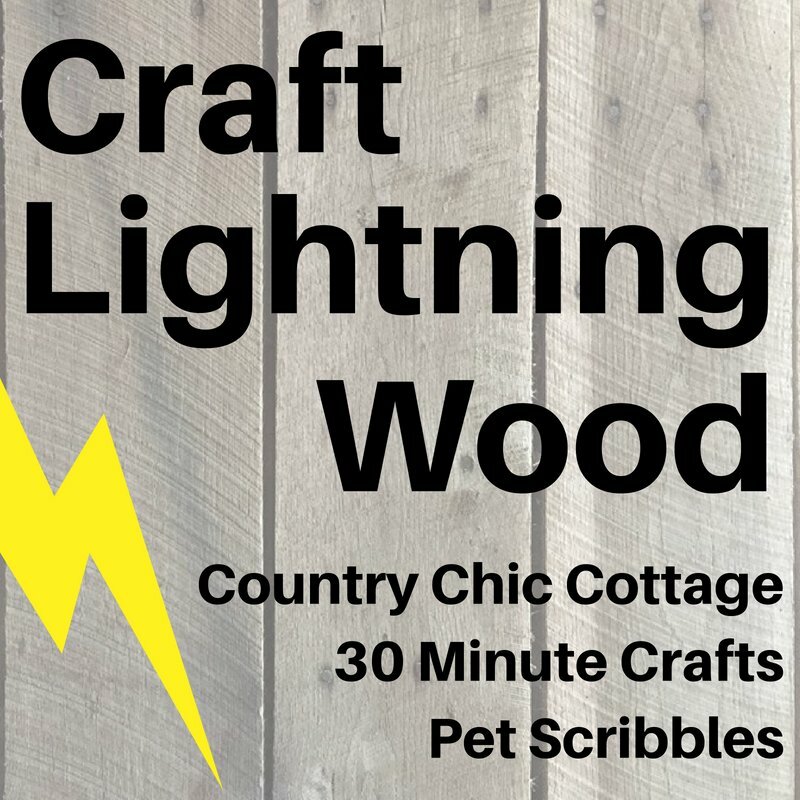 As I mentioned earlier this week is Craft Lightning. Blogging Buddies gather their best ideas to share with you. 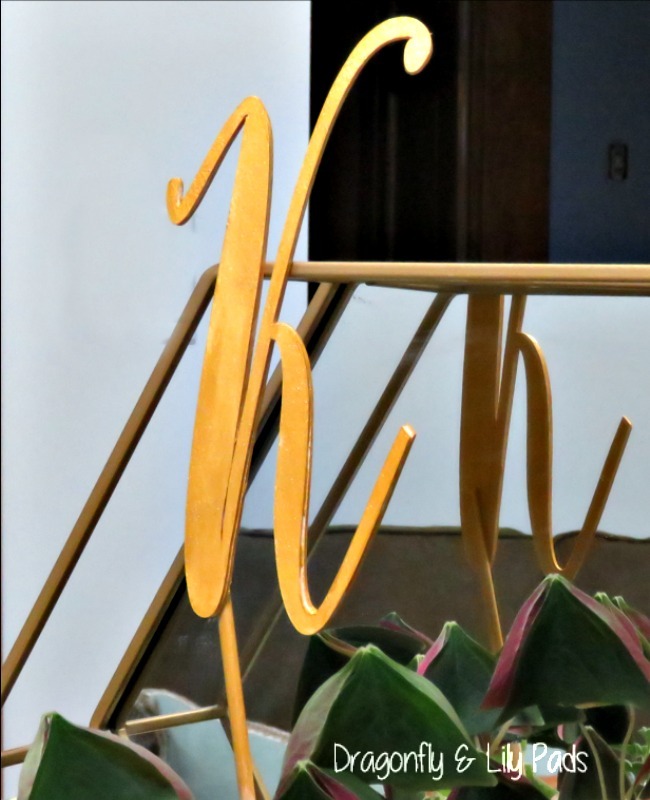 Please be sure to click on the button below to see more than 40 Wood inspired projects which are quick and easy. I am grateful for the time you spend with me. I would love to know more about you. So lets Pin, Like, Tweet, and Share projects on the SM you choose to hang out with me on. Great tutorial Karen! The cake topper monogram is so pretty! I am loving my knife blade too! Thanks for joining!